The AnyTone AT-D868UV Version 2 with a FREE genuine Nagoya NA-701 8 inch dual-band antenna, and a FREE AnyTone Battery Eliminator. (A $36 value). The perfect combination of features, power, range, and clarity. All of that combined with unmatched BridgeCom Systems support not found anywhere else. 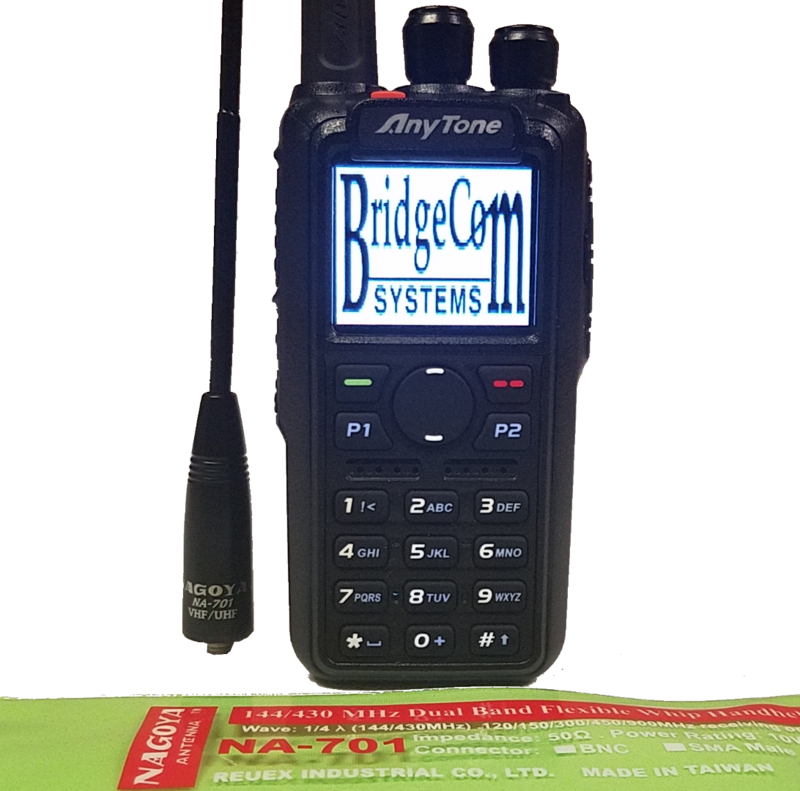 At BridgeCom, we don't just sell radios, we are hams and we use the AnyTone AT-D868UV as our daily carry. DMR can be a bit difficult and confusing. 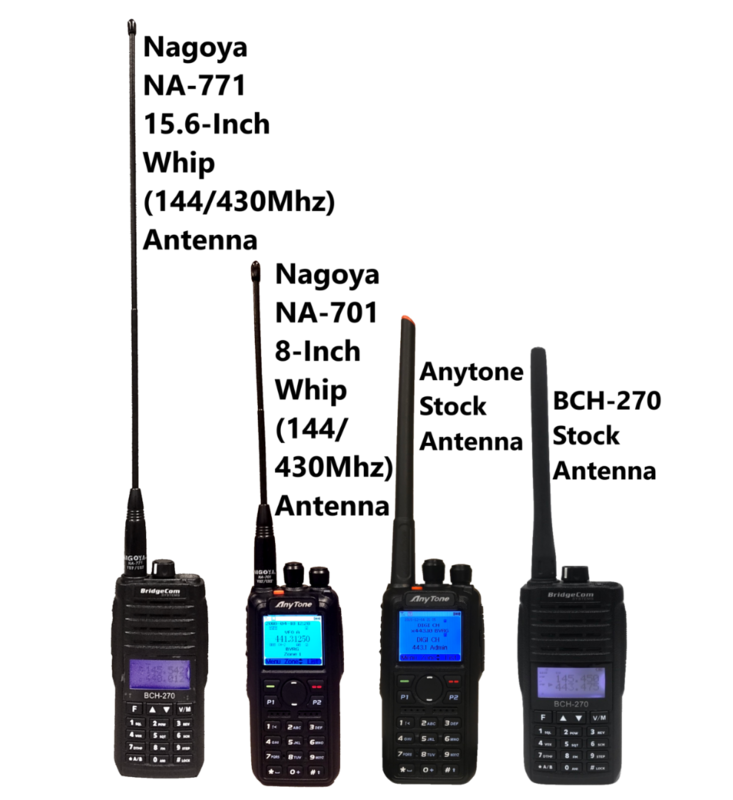 When you purchase an AnyTone from BridgeCom, you will get support and assistance from actual amateur radio operators until you are satisfied. USE CODE: ( QST868 ) at checkout for $36 off! $178.99! Not combinable with other coupons. 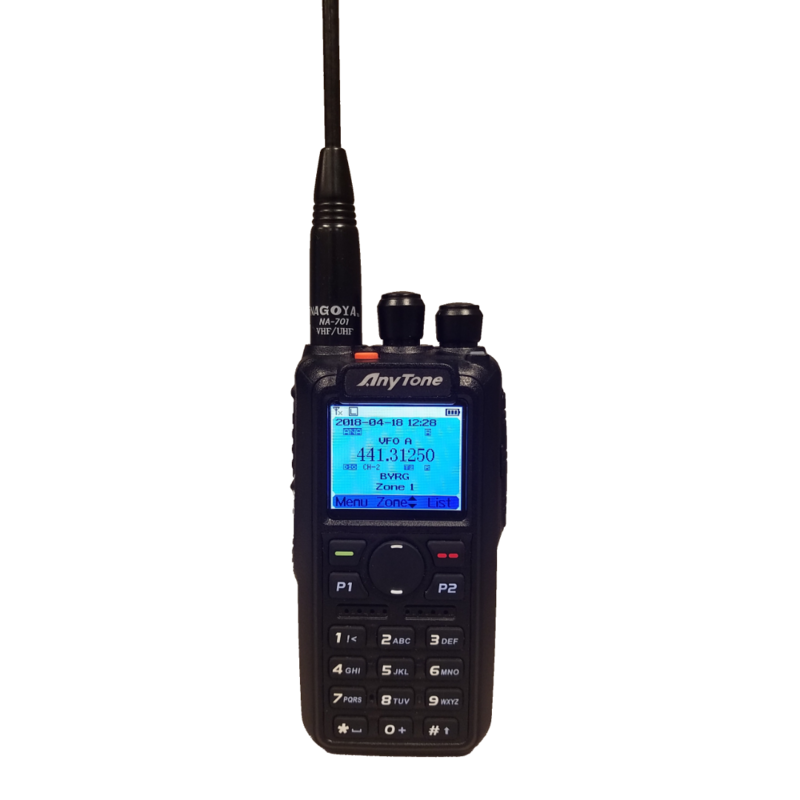 PACKAGE INCLUDES: AnyTone AT-D868UV Version 2 Dual-band DMR Radio with GPS, FREE genuine Nagoya NA-701($21 value), FREE AnyTone Battery Eliminator, Large 3100 mAh Lithium Ion battery, FREE USB programming cable and downloadable software, other included necessities listed below. The antenna will work with the GPS. About the AT-D868UV: Everyone is looking for their go to radio. We have just the thing! The AnyTone AT-D868UV. It is dual band and dual mode. It will handle calls from digital DMR and analog in the VHF (2m) and UHF (70cm) bands. 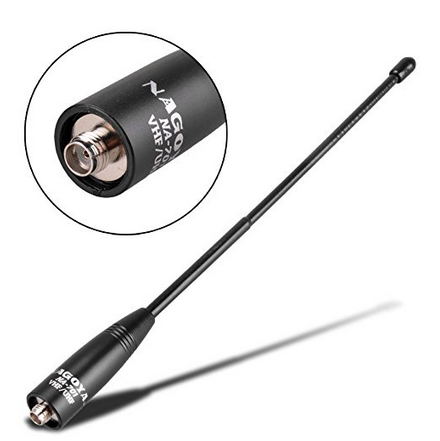 It's perfect for Commercial and Amateur radio Applications. When you need one radio, reach for the AnyTone AT-D868UV! AnyTone AT-D868UV Version 2 Dual-band VHF/UHF GPS Radio. FREE genuine Nagoya NA-701($21 value). 3100 mAh extended life lithium ion battery. Desk charger w/ AC adapter. Free USB Programming cable and downloadable software.